The school collects and processes personal data relating to its employees to manage the employment relationship. The school is committed to being transparent about how it collects and uses that data and to meeting its data protection obligations. The school may collect this information in a variety of ways. For example, data might be collected through application forms or CVs; obtained from your passport or other identity documents such as your driving licence; from forms completed by you at the start of or during employment (such as benefit nomination forms); from correspondence with you; or through interviews, meetings or other assessments. In some cases, the school may collect personal data about you from third parties, such as references supplied by former employers, information from employment background check providers and information from criminal records checks permitted by law. Data will be stored in a range of different places, including in your personnel file, in the school’s HR management systems and in other IT systems (including the school's email system). The school needs to process data to enter into an employment contract with you and to meet its obligations under your employment contract. For example, it needs to process your data to provide you with an employment contract, to pay you in accordance with your employment contract and to administer benefit, pension and insurance entitlements. In some cases, the school needs to process data to ensure that it is complying with its legal obligations. For example, it is required to check an employee's entitlement to work in the UK, to deduct tax, to comply with health and safety laws and to enable employees to take periods of leave to which they are entitled. Where the school processes other special categories of personal data, such as information about ethnic origin, sexual orientation or religion or belief, this is done for the purposes of equal opportunities monitoring. This is to carry out its obligations and exercise specific rights in relation to employment. Your information may be shared internally, including with members of the HR and recruitment team (including payroll), your line manager, senior managers and IT staff if access to the data is necessary for performance of their roles. The school shares your data with third parties in order to obtain pre-employment references from other employers, obtain employment background checks from third-party providers and obtain necessary criminal records checks from the Disclosure and Barring Service. In those circumstances, the data will be subject to confidentiality arrangements. The school also shares your data with third parties that process data on its behalf, in connection with payroll, HR, the provision of benefits and the provision of occupational health services. 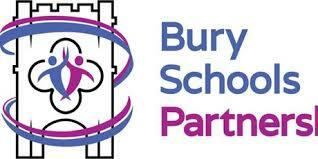 our local authority - we are required to share information about our employees with our local authority (LA) under section 5 of the Education (Supply of Information about the School Workforce) (England) Regulations 2007 and amendments. the Department for Education (DfE) - we share personal data with the Department for Education (DfE) on a statutory basis. This data sharing underpins workforce policy monitoring, evaluation, and links to school funding/expenditure and the assessment educational attainment. The school will not transfer your data to countries outside the European Economic Area. How Does the School Protect Data? The school takes the security of your data seriously. The school has internal policies and controls in place to try to ensure that your data is not lost, accidentally destroyed, misused or disclosed, and is not accessed except by its employees in the performance of their duties. Further information can be found in the school’s Information Management Handbook. For How Long Does the School Keep Data? The school will hold your personal data for the duration of your employment. Regarding he period for which your data is held after the end of employment, our school follows the guidance set out in the IRMS Handbook for Schools. object to the processing of your data where the school is relying on its legitimate interests as the legal ground for processing. You have some obligations under your employment contract to provide the school with data. In particular, you are required to report absences from work and may be required to provide information about disciplinary or other matters under the implied duty of good faith. You may also have to provide the school with data in order to exercise your statutory rights, such as in relation to statutory leave entitlements. Failing to provide the data may mean that you are unable to exercise your statutory rights. Certain information, such as contact details, your right to work in the UK and payment details, have to be provided to enable the school to enter a contract of employment with you. If you do not provide other information, this will hinder the school’s ability to administer the rights and obligations arising as a result of the employment relationship efficiently.